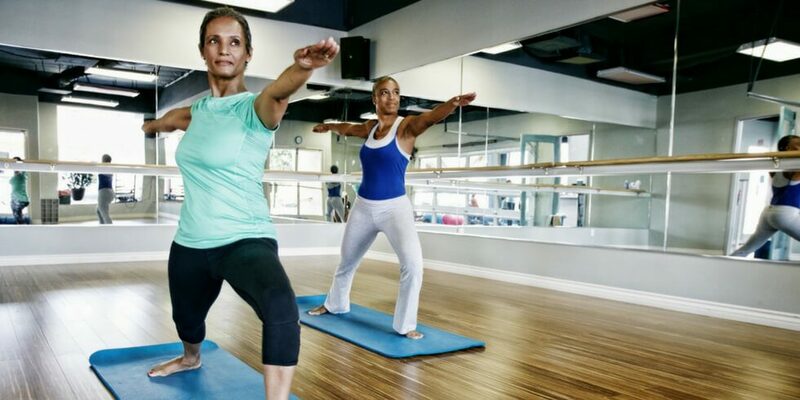 Group fitness classes are a great way to stay healthy and socialize with your neighbors, but sometimes it can feel impossible to fit a scheduled class into your busy calendar. At Arden, hundreds of Wellbeats™ virtual fitness classes will be available at the state-of-the-art Fitness Center, meaning you can access the classes you want when you want them. Joining a new workout class like Zumba or Pilates can seem daunting and even embarrassing. However, with the on-demand Wellbeats™ virtual classes, you don’t have to worry about keeping up with a more experienced group or getting stuck in a class you don’t like. You can try out all sorts of classes at your own pace to see if you like them. Then, if you’re ready to join a group, no need to reserve your space at a busy studio across town. Just schedule a time with your friends and neighbors to do a class together, right down the street at the Fitness Center. What makes Wellbeats™ unique is the flexibility it provides, making it easy to fit a class into your schedule, no matter how hectic. Whenever you have some free time and want to do a little kickboxing, strength training or even dance, all you have to do is head over to the Fitness Center and press play. Classes are offered in a variety of lengths and intensities, so whether you want to work hard for 20 minutes or relax with yoga for an hour, there’s sure to be a class that’s just what you’re looking for. With hundreds of classes offered through Wellbeats™ there’s sure to be something for you to enjoy, no matter your workout style. Unwind after a long day with some yoga, work up a serious sweat with hip hop dancing or take special care of you and baby with pre- and post-natal classes. For our youngest residents, Wellbeats™ even offers classes geared towards active play, so the whole family can dance, wiggle and play your way to a healthy lifestyle. Interested in learning more about the active lifestyle at Arden and everything it has to offer? Join our Founders Club to receive news and updates.